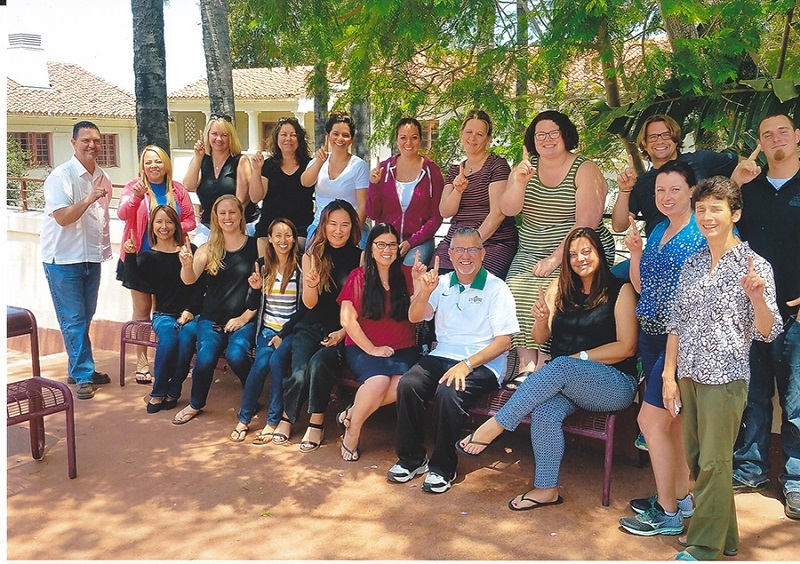 Feb. 4, 2019 - “19 in 19” is the theme for this year’s doctorate students who will complete their final coursework and enjoy the honor of being the first cohort to accept their Doctor of Education degrees from CSUCI at Commencement on May 18. The inaugural cohort of 19 students in the CODEL (Collaborative Online Doctorate in Educational Leadership) program began their coursework in June 2016 under the direction of CODEL Director Gary Kinsey, Ed.D. and Assistant Professor of Education, Charles Weis, Ph.D.
Years in the making, the commitment to making this program a reality has required considerable groundwork on multiple campuses- everything from collecting interest surveys to writing proposals to seeking the CSU Chancellor’s Office approval and accreditation from WASC. This unique program is a partnership between CSUCI and California State University, Fresno (Fresno State) and the 60-unit Ed.D. is not only the first doctorate program in the history of CSUCI, it is also the only online Doctorate in Educational Leadership within the CSU system. The program is dedicated to enriching and supporting leaders who are devoting their lives to social justice and democracy in and through education. Due to its unique structure, courses are taught by CSUCI and Fresno State faculty, allowing students access to faculty and services from both institutions. For more information contact Kim Infinger, Ed.D., at 805-437-2002 or kim.infinger@csuci.edu.